No way! How’s he still standing upright?? 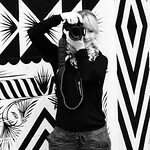 I glanced at my Irish friend Caroline, who would be getting married two days later at City Hall, nearby. Over the rim of her own pint tilted to her lips, her gleaming eyes laughed and she subtly shook her head as if to say, don’t believe a word of it. After more than a week spent in and around Dublin, I’d begun to realize that the Irish like their tales like they like their beer and whiskey: extra tall and full of flavor. Once deemed by the Romans as too unruly and fiery for conquering, the inhabitants of the Emerald Isle have always been a little wild. A bit brassy. Audacious, even. But their long history is a dazzling one, and their tales (tall or otherwise) are worth sitting down in any pub with a cold frothy pint to listen to. 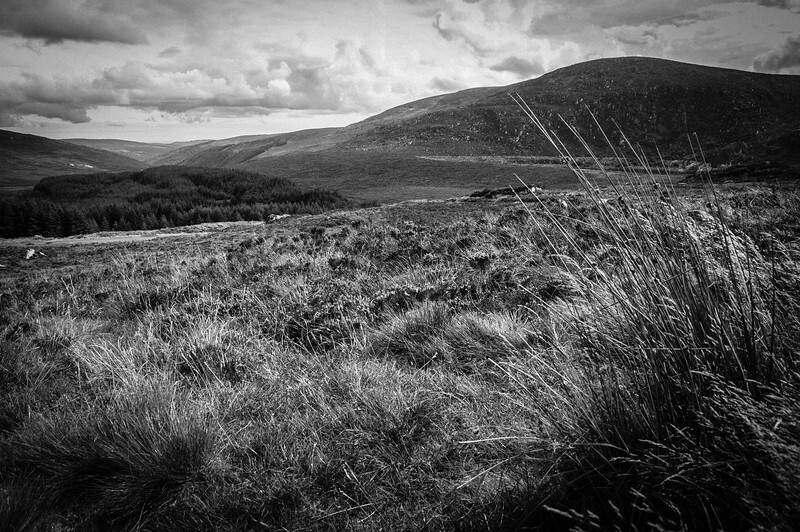 400 million years ago, the Wicklow Mountains—through which Katie, Bryan and I traversed aboard a tour bus that swayed and heaved mightily around each curve—were the largest in Europe, taller than the Alps are today. Millenia of gusting onslaughts swirling in from the Atlantic Ocean have whittled them down to gently waving mounds swathed in infinite green hues. The farmland-checkered landscape is lit intermittently by whatever stream of sunlight is able to push through breaks in the ever-present cloud cover. Cows graze unhurriedly on lush grass while herds of sheep occasionally create fluffy, loudly baa-ing roadblocks across country lanes. 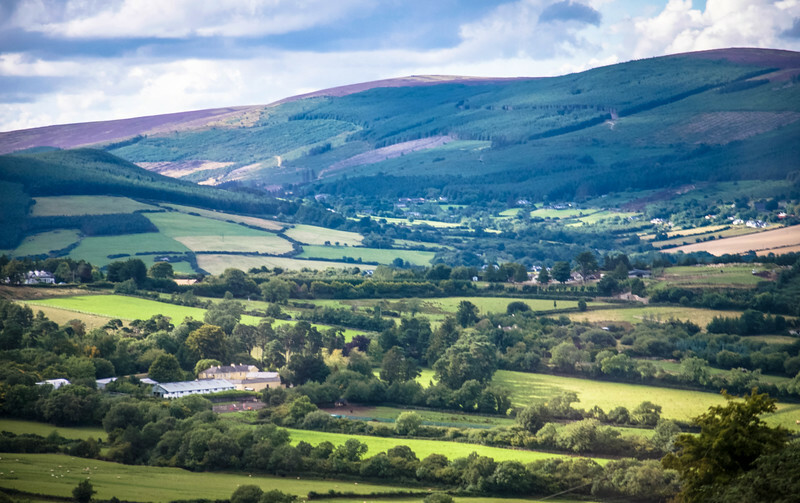 Old Celtic songs; mournful bagpipes, cheerful fiddles, the works, became my involuntarily mental soundtrack as we wove and bounced through the Irish countryside. 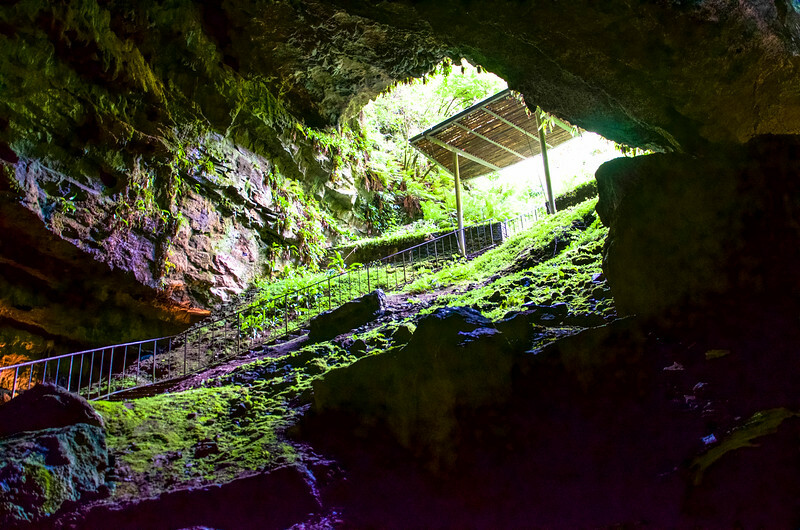 The first stop on our day trip from Dublin would be Dunmore Cave in County Kilkenny. I love caves. There’s something about them, a certain mystery, something magical that sends electric giddiness and childlike wonderment flooding through me. The mouth of Dunmore Cave was flush with piercing green plant life; ferns and moss and teensy white flowers cascaded toward the blackness like a whirlpool as we followed the stairway down its gullet. 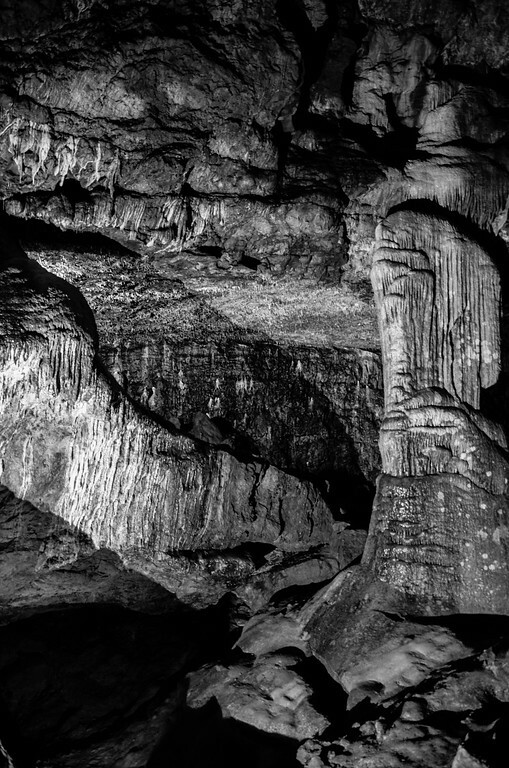 Our guide led us through jagged black tunnels and nooks, telling us the cave’s stories and juicy local lore as we shuffled along in the dimness. One of the stories sent goosebumps up my arms. In the 1970s, archaeologists found a closed off cavern containing the bones of 44 women and children from the first part of the 10th century. Smoke-blackened rock nearby indicated they may have hidden in the cave to escape marauding Vikings, who attempted to smoke them out, but instead they were finally suffocated by it. 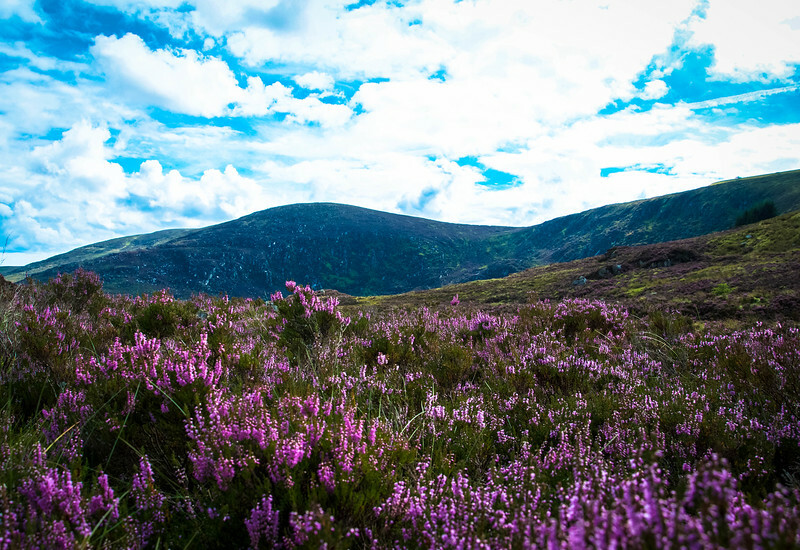 From the depths of the Earth, we resurfaced, reboarded the bus and rolled onward to the city of Kilkenny—but not before pausing for a few minutes to wade through a startlingly picturesque field of wild lavender with a grand mountain backdrop. 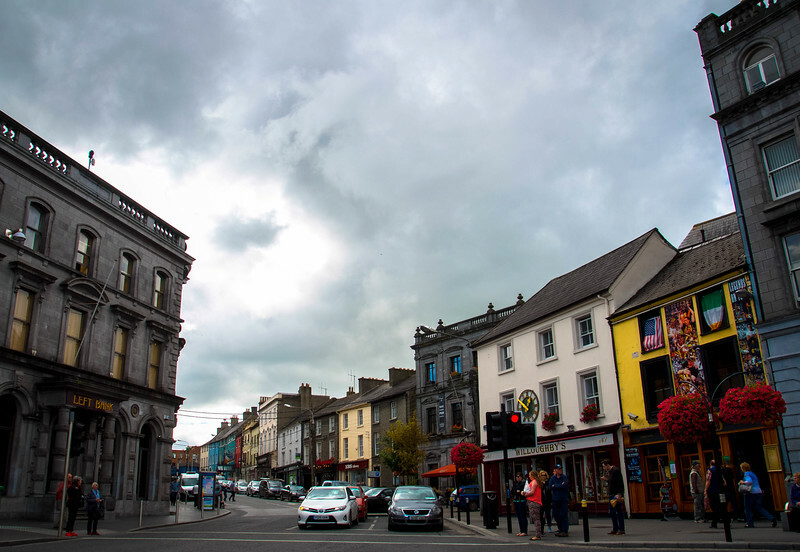 Founded more than 400 years ago, the city of Kilkenny might as well be the poster child for absolute Irishness. Cobblestone side streets unfurl past multi-generational-family-owned barber shops and shops displaying artful stacks of soft lamb’s wool scarves and sweaters. Pubs and restaurants link together like vertebrae, forming the backbone of this tourist-favorite town. 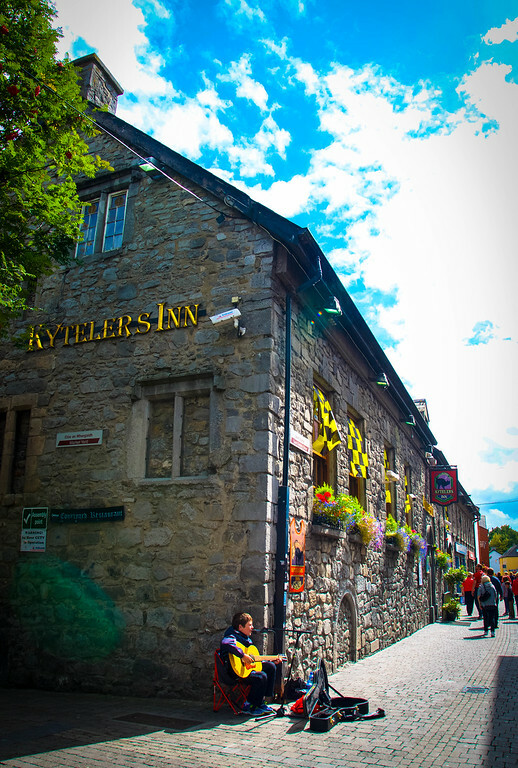 Katie and I headed to the most famous—or, rather infamous—spot in town, Kyteler’s Inn, for a lunch of Irish stew. 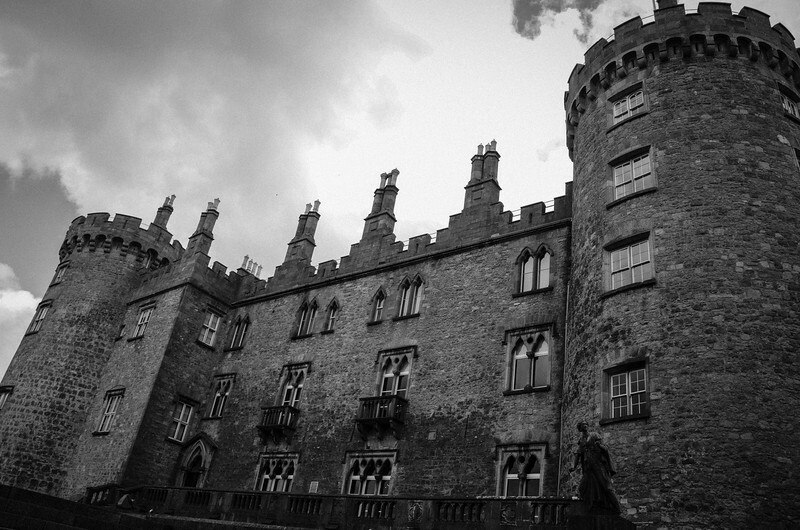 Towering over the city, Kilkenny Castle (finished in 1195) is one of the grandest of all of Ireland’s 15,000 castles. After lunch, just before hightailing it back to the tour bus, Katie and I strolled around the stately grounds. The final destination of the day would be my favorite. 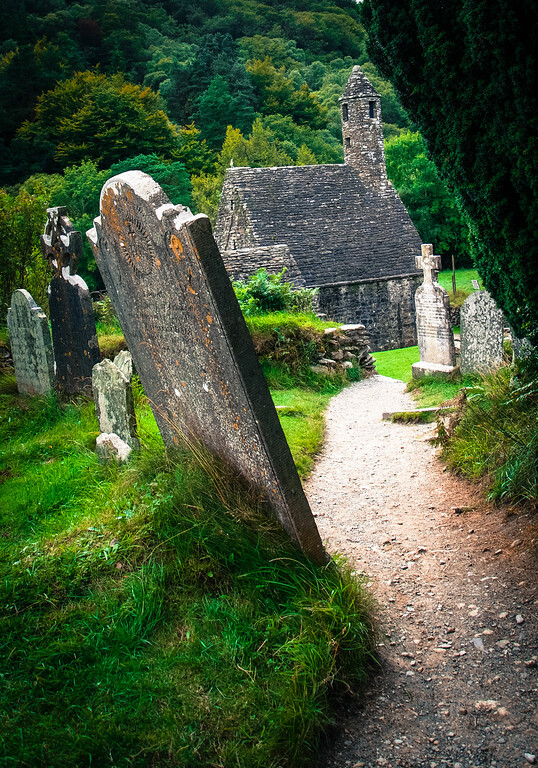 Glendalough (meaning “the valley of two lakes”) in County Wicklow, is a very special sort of place. You can almost feel that there’s more than what meets the eye while descending into the valley from the road. (The giveaway may be the round tower that pokes through the treetops). Katie, Bryan and I strode swiftly in single file along a path toward the lakes of Glendalough through air that was wet and smelled of rich earth and early autumn grass. 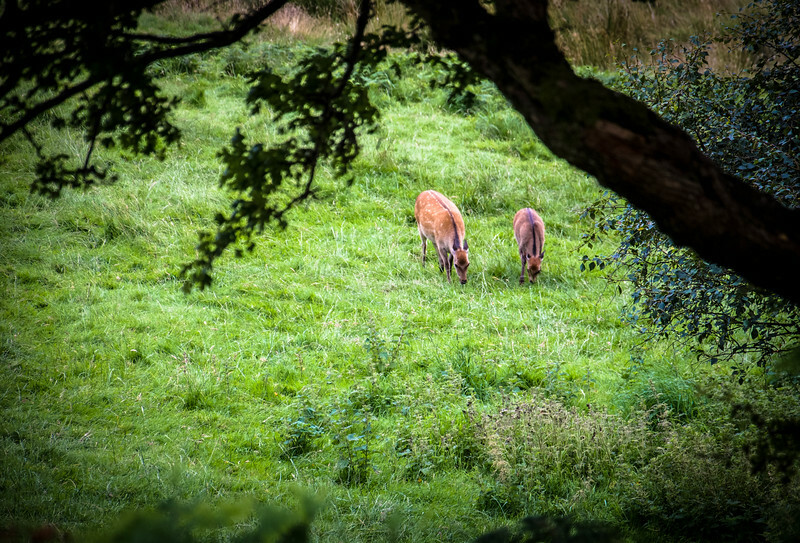 Emerging from a cluster of trees that were fringed with leaves beginning to hint at shades of yellow and orange, the landscape broadened unexpectedly to reveal a family of white tailed sika deer grazing near the water of the first lake. Losing Bryan and Katie by gawking at the deer for too long, I opted to backtrack up the path to the main attraction: a 6th century monastery founded by St. Kevin. St. Kevin’s folklore comes with its own hefty share of unbelievable stories, such as one about a glowing white cow that showed up at his home every day when he was an infant to feed him milk. 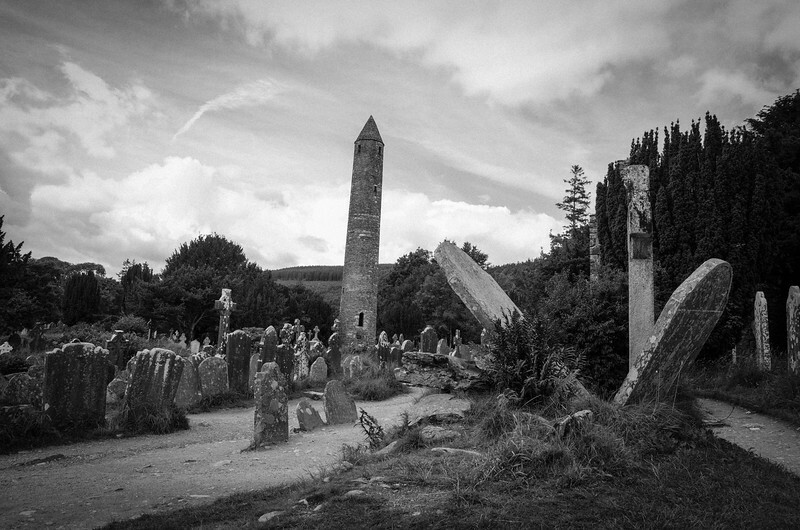 His chapel and tower, however, have stood the test of time to become a true part of the region’s history. The structures are now surrounded by an impressive cemetery featuring grave stones with dates going back as far as 1,500 years. 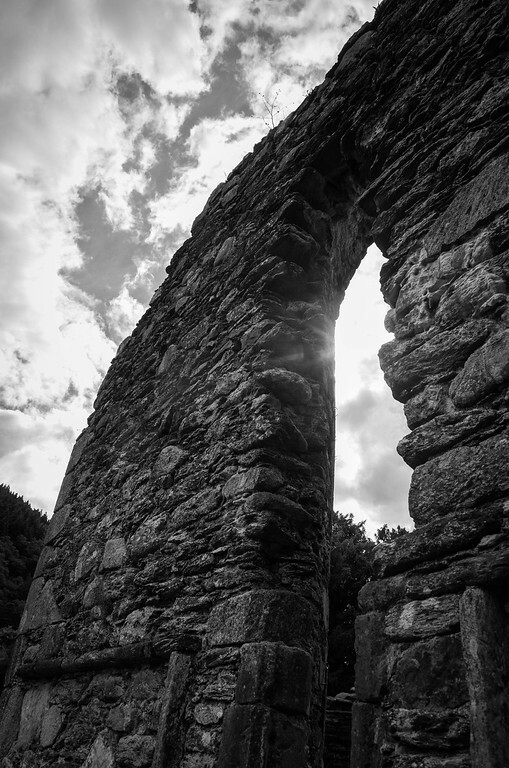 I ventured toward the far end of the cemetery, and leaned as close as I dared to the barbed wire border to peer at a dilapidated stone building a distance from St. Kevin’s digs. I later found out it was the nunnery. I decided I rather liked its grown-over, crumbling facade of the place, standing off on its own in the windswept valley. Finally, it was time to navigate back to Dublin. 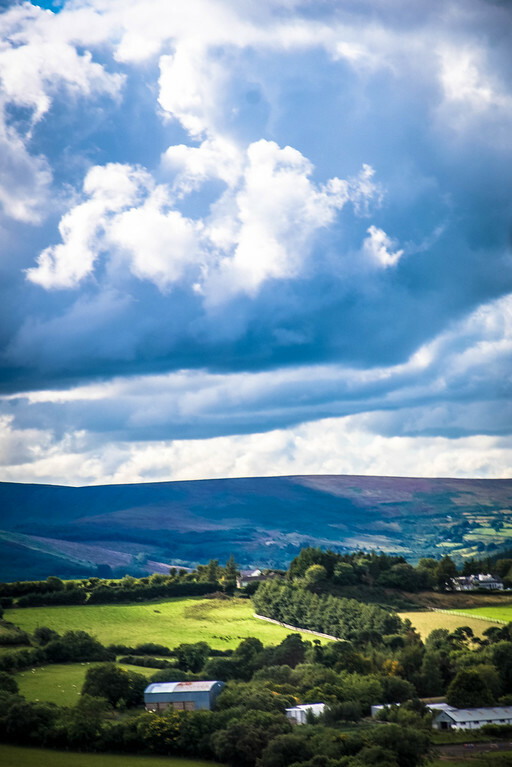 We all settled into our seats and quietly watched the Irish countryside fly by the windows, savoring each and every vista splashed by cloud-filtered golden streaks. 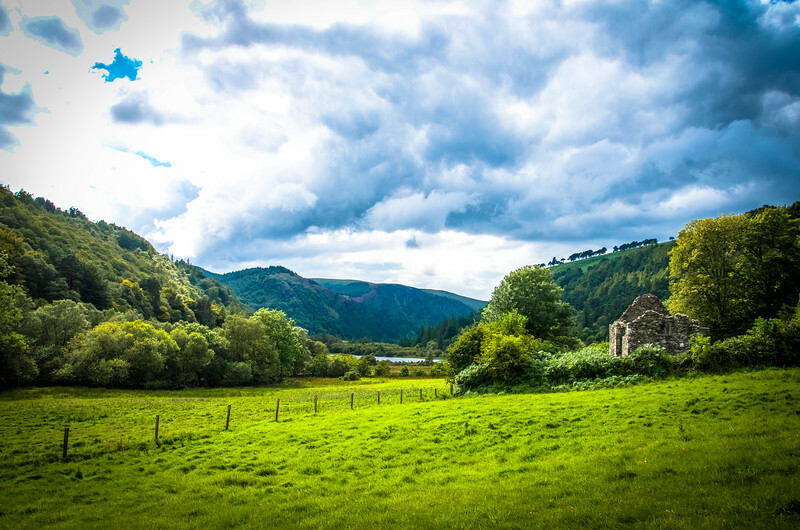 The scenes of Ireland’s countryside were just as I’d always imagined they’d be, except even more breath-caught-in-your-chest, huge-lump-in-your-throat stunning. I simply hadn’t expected them to be this beautiful. 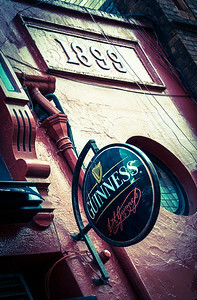 By the end of the evening at the pub in Dublin, as the pub was shutting down, the young suit-wearing, pint-carrying Irishman hadn’t even finished the Guinness he’d raised while declaring he’d soon be downing six more. Instead, he helped an old man who had moments ago appeared to be snoozing at the bar (a “legend of Dublin pubs” the young man told us) gather his coat and walking cane. Taking him gently by the elbow, he guided the old man out the door and down the dim cobbled street toward home. My friends and I spilled out onto the lamplit street and headed toward our respective lodgings, weaving through throngs of smiling-eyed Irish. Despite the hour, they carried on reveling in the wafting music and excitement and the inextinguishable glow of a sparkling Dublin night. Up next: ASIA!! I hop to Singapore, then spend two weeks traveling south to north in Vietnam.